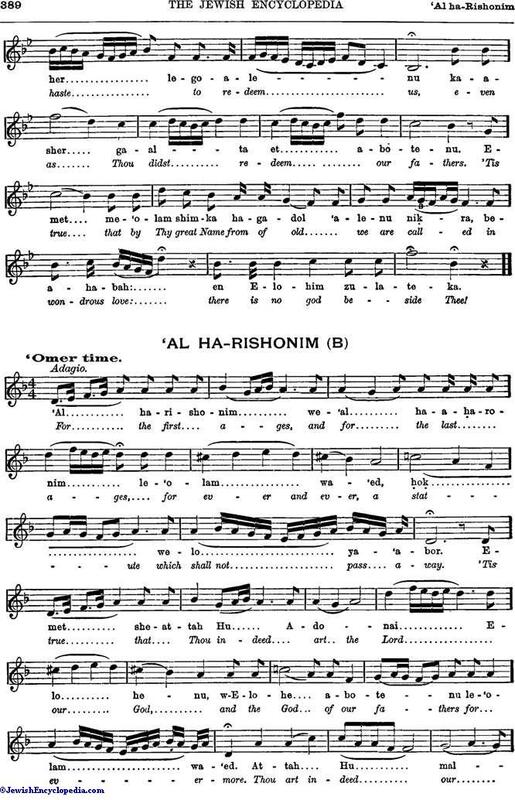 "'Al ha-Rishonim" is chanted as an introduction to the piyut to some elaborate melody traditionally associated with the occasion. 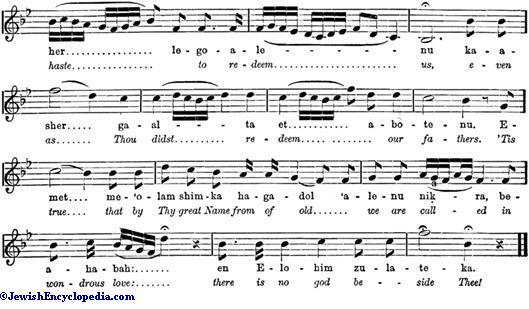 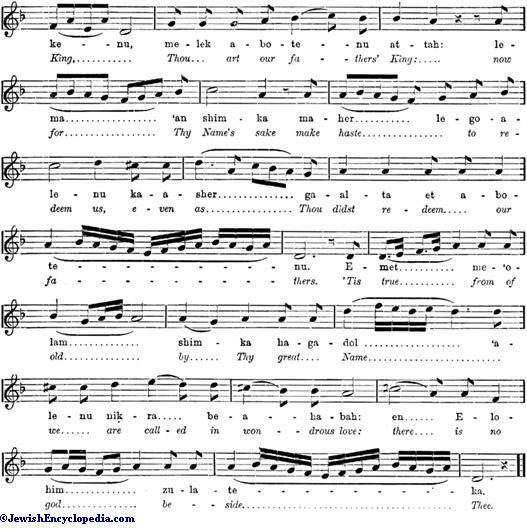 Three such melodies are widely known, one for Passover, the second for the other festivals, and the third for the Sabbaths of the 'Omer period. 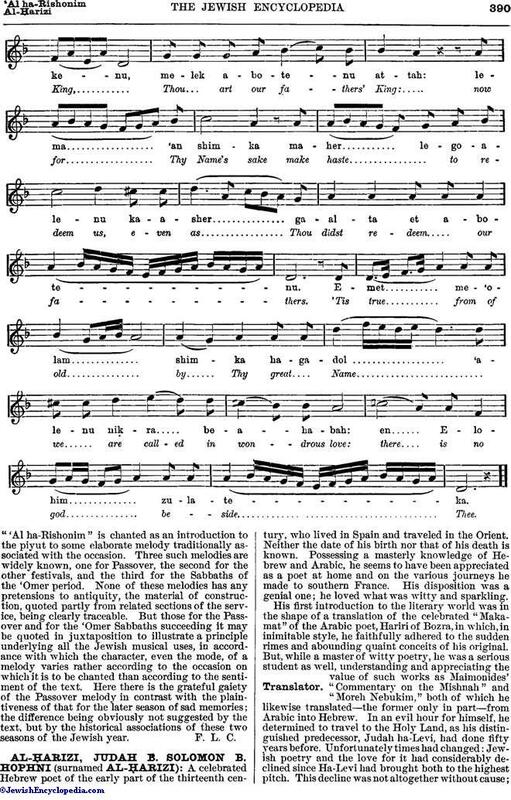 None of these melodies has any pretensions to antiquity, the material of construction, quoted partly from related sections of the service, being clearly traceable. 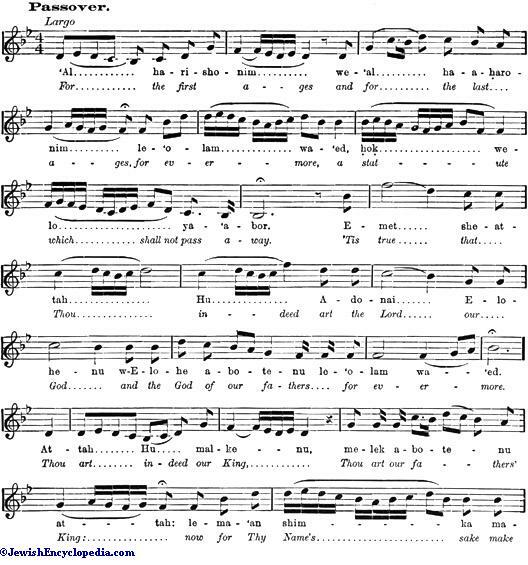 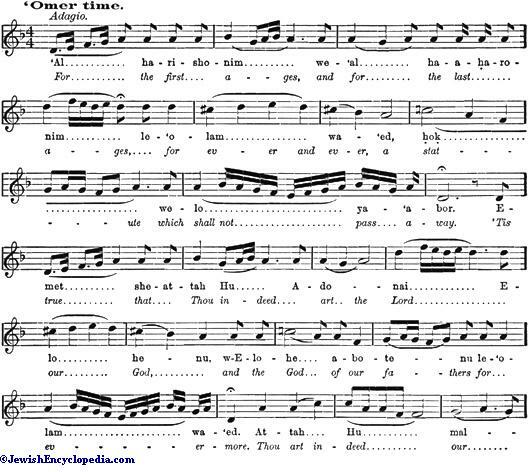 But those for the Passover and for the 'Omer Sabbaths succeeding it may be quoted in juxtaposition to illustrate a principle underlying all the Jewish musical uses, in accordance with which the character, even the mode, of a melody varies rather according to the occasion on which it is to be chanted than according to the sentiment of the text. 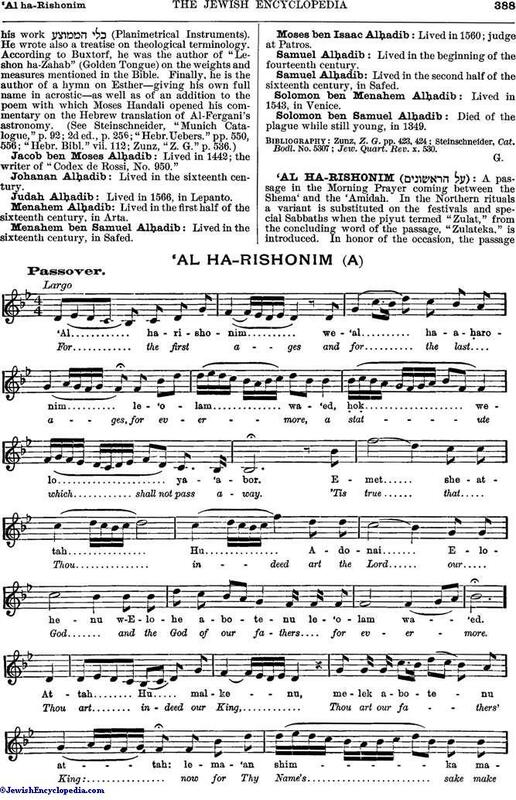 Here there is the grateful gaiety of the Passover melody in contrast with the plaintiveness of that for the later season of sad memories; the difference being obviously not suggested by the text, but by the historical associations of these two seasons of the Jewish year.